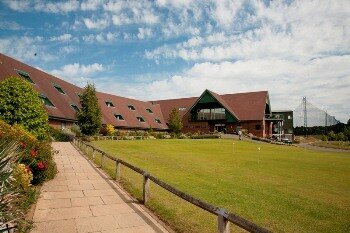 Ufford Park Woodbridge is perfect for a family holiday or for a themed break that might include activities such as golfing, pampering spa treatments or bird watching. Set within 120 acres of tranquil countryside, our contemporary hotel has 90 en-suite bedrooms - many of which have balconies with breath-taking views of the Deben valley. The hotel is easily accessible with excellent road links, and a number of areas worth exploring are within easy reach including the historic Anglo-Saxon burial ground at Sutton Hoo in Woodbridge, Constable Country for those with a love of art and nature, plus Suffolk’s unspoilt heritage coastline. As if all of this were not enough, we also have a number of facilities that are sure to entertain and relax you, making your stay a memorable one. 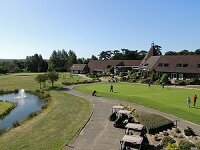 Golfers can play a round of golf on our challenging 18-hole course, which plays host to prestigious tournaments such as the PGA EuroPro Tour. For less experienced players there is the DoctorGolf Teaching Academy. For a true indulgence, our new Spa combines a state-of-the-art thermal suite with highly skilled beauty therapists to create one of the finest spas in Suffolk. 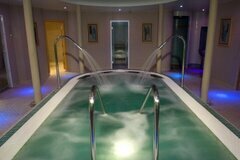 There is also a Health Club on site, with a gym and swimming pool. For more information click 'View Website' or 'Phone' links above. 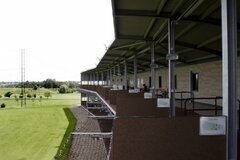 We also offer Activity Breaks including residential Bird Watching Breaks. You can stay at Ufford Park and explore local bird watching sanctuaries such as RSPB Minsmere Bird Sanctuary, Snape Marshes, and The Deben Estuary. On site there are over 45 species of birds and professional tours are also available. Finally, our Function Rooms are ideal for your business and conference needs, and can also be used to host weddings and private celebrations. We have a commitment to going one step further and exceeding all expectations - whether you are here for business or pleasure, you will not be disappointed by Ufford Park Hotel. 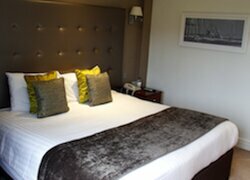 Please click on our ‘Visit Website’ link above for more information on our hotel and Special Offers. Please see our guide to Woodbridge for more information on the town & what's on. At Ufford Park, we understand that your four-legged friend is part of the family, so why would you leave them behind? The good news is that Suffolk and dogs are made for each other with miles and miles of woodland and country walks to explore. Click 'Phone' link above to call our friendly Reservations Team. Enter ext.200 to get our Best Available Rates. *Terms and conditions apply. Subject to availability. Prices are based on double occupancy in a Classic room. These rates are not available online - book direct to take advantage.